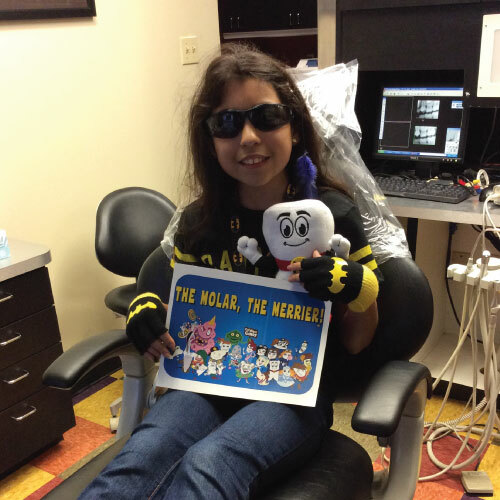 With The Total Health Heroes™, children enjoy a fun and interactive experience when they come to the dentist. 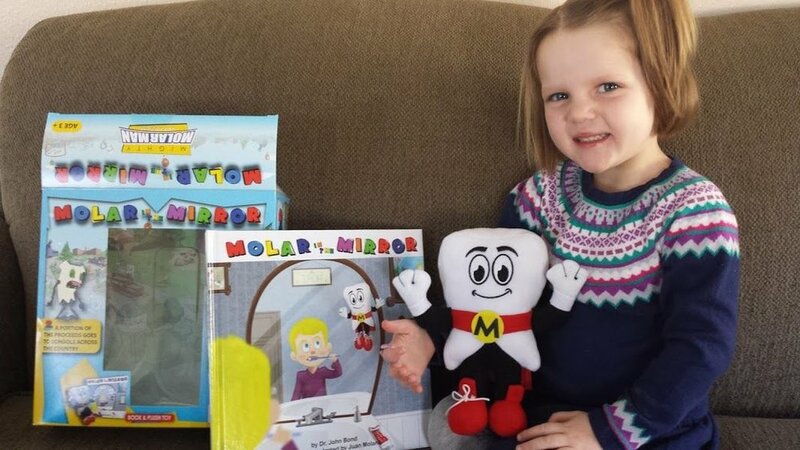 Featuring Mighty Molar™, the SuperHero of Smiles™, kids need not be afraid... they arrive to their appointments in a happy mood, engaged with Mighty Molar™ and excited to be there! Any and all dental healthcare professionals, charitable organizations, educators and families can utilize and enjoy this exciting and revolutionary pediatric patient care tool. Including Mighty Molar™ in the new patient visit process and subsequent appointments, from beginning to end, is extremely helpful. 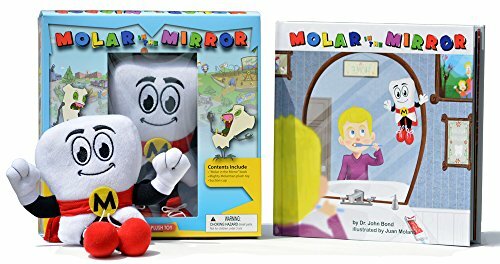 It all starts with "Molar in the Mirror" and the Mighty Molar™ plush toy. From the moment children open the book, they are drawn into an amazing world called Molar Towne. Parents and children visit totalhealthheroes.com to experience all the fun characters. Children just love watching Mighty Molar™ in action, dancing to “The Mighty MolarMan Song®”, and exploring the entire website. The day before the appointment, your child receives a personal and encouraging message via e-mail or text from the SuperHero of Smiles™ himself! When they arrive for their appointment, with their Mighty Molar™ plush toy in hand, they are comforted and can’t wait to get started. During treatment, your child can watch the Total Health Heroes™ cartoons and music videos. Have your child take the Mighty Molar™ Pledge, sign their certificate, and there will be no more battling them to brush!